Nothing says I love you more than a special homemade cake! 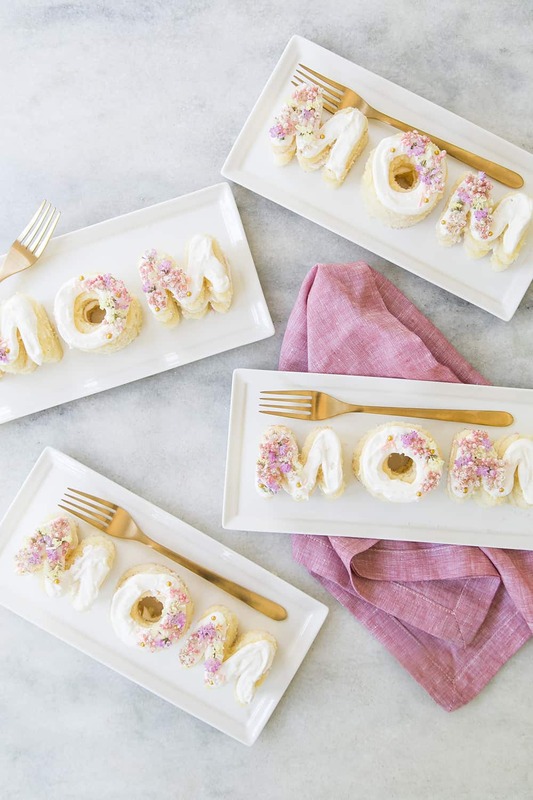 Okay, maybe in our eyes, but these charming Mini Mom Cakes are sure to bring a smile to mom’s face! 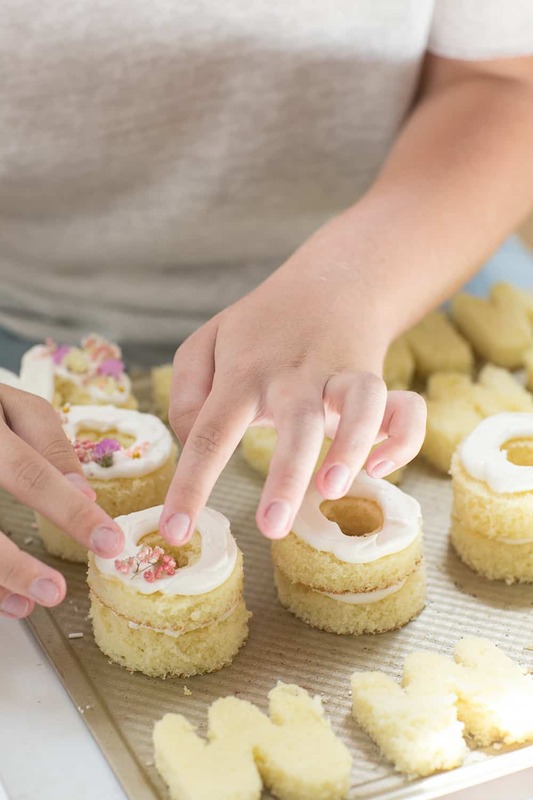 We wanted to make something that showed it was baked with love and I think we succeeded with these fun little cakes. 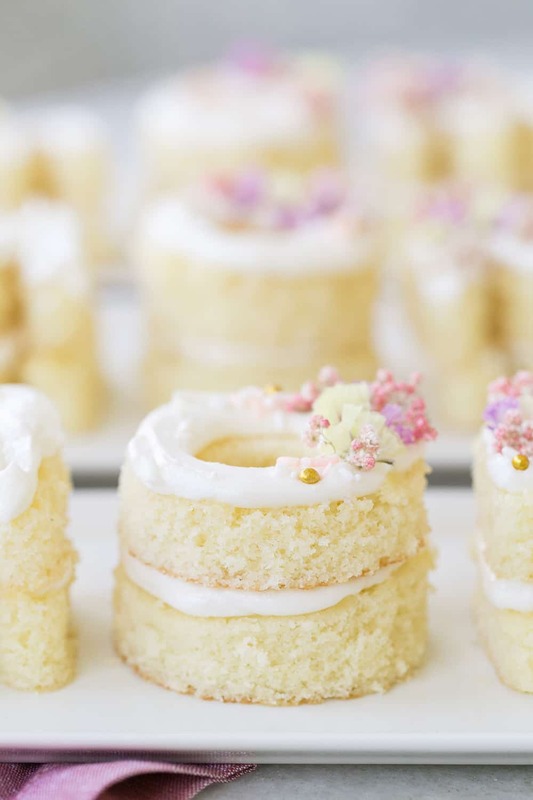 You can serve them with fruit or ice cream and it’s such a thoughtful and adorable dessert. For the cake, we made a simple 1,2,3,4 vanilla cake and a delicious, whipped meringue buttercream frosting that went so perfectly together. 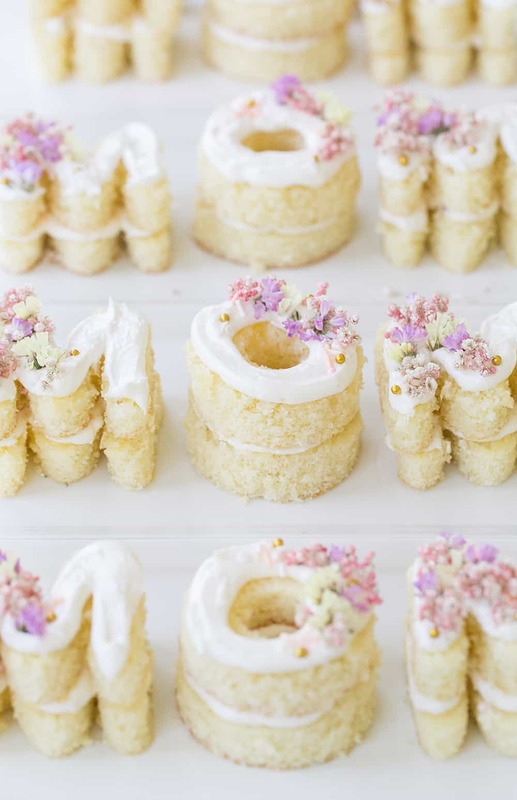 We wanted to double stack the cake letters so we could have a frosting filling. 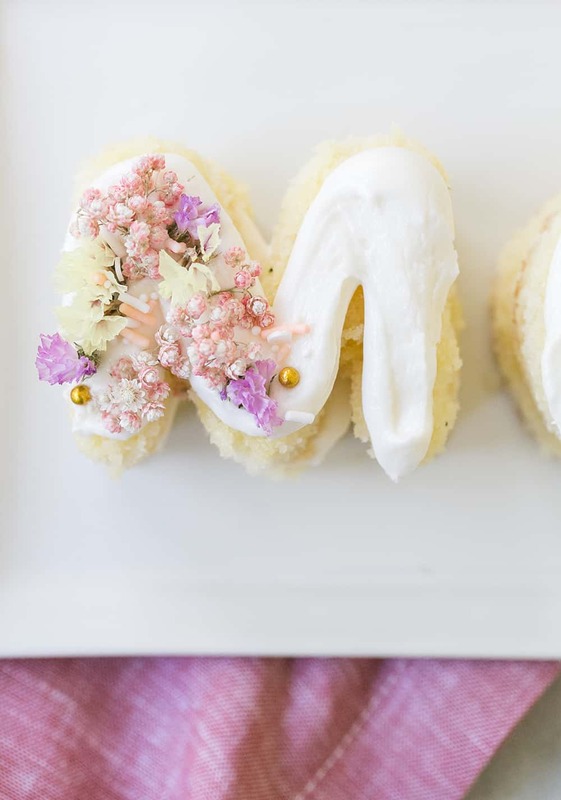 You can also do a fruit filling too! We used cookie cutters and cut the letters out straight from the pan once the cake was cooled. 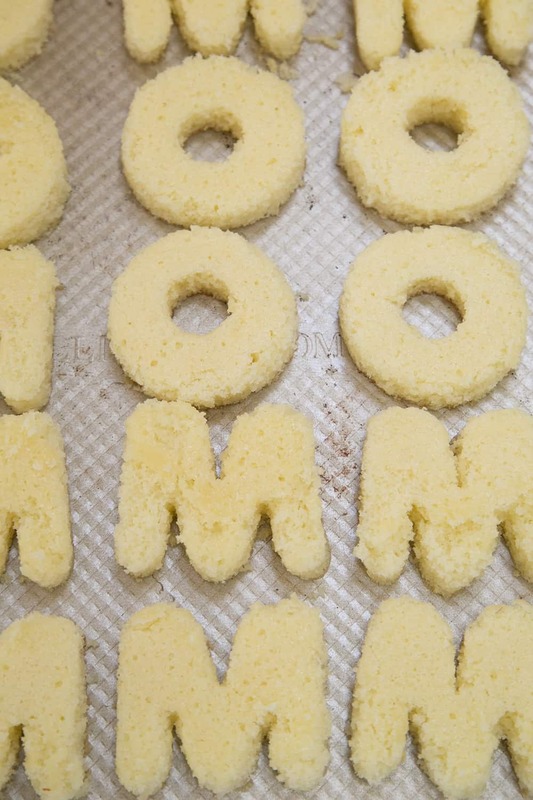 We cut out 16 M’s and 8 O’s to make four mini mom cakes. We placed the letters on a cookie sheet and then prepared the frosting. 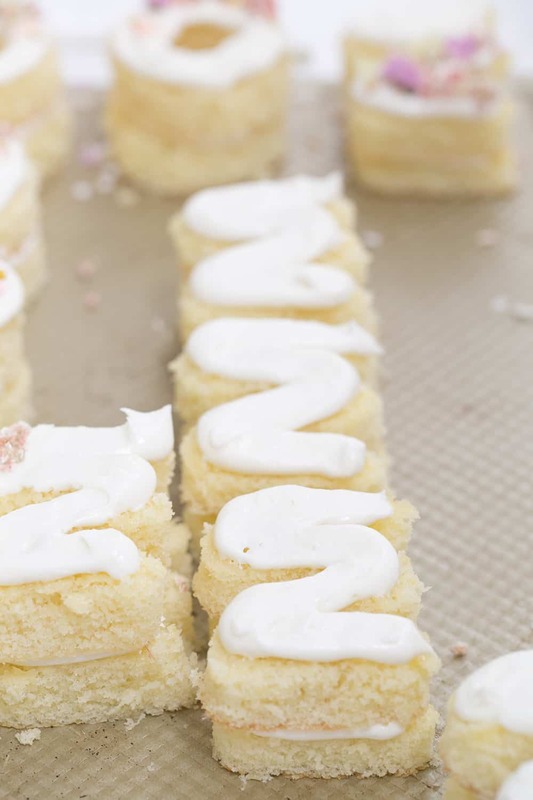 This is my go-to recipe for frosting! It’s really the best and you’ll have plenty of frosting left. 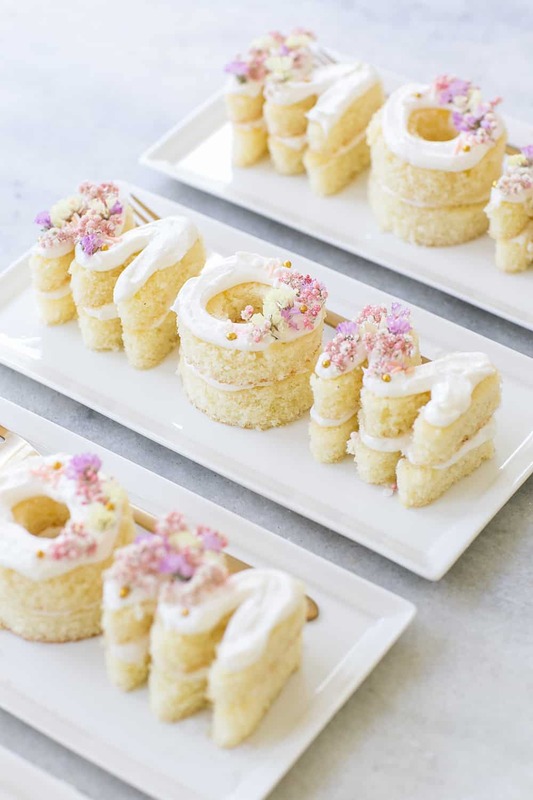 Since the cake letters are about 2 1/2 – 3 inches it would be hard and messy to frost them with a knife. Instead, I added the frosting into a piping bag with a 1/2″ hole and pipped the frosting onto the letters, then stacked them. We spread the frosting out a little on the top to look more like a frosted cake. 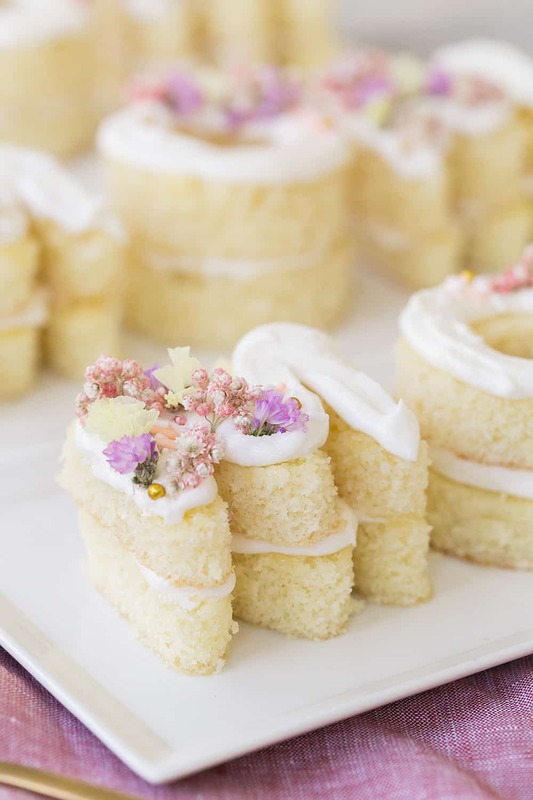 To give them a charming touch, we added a few dried flowers and sprinkles! 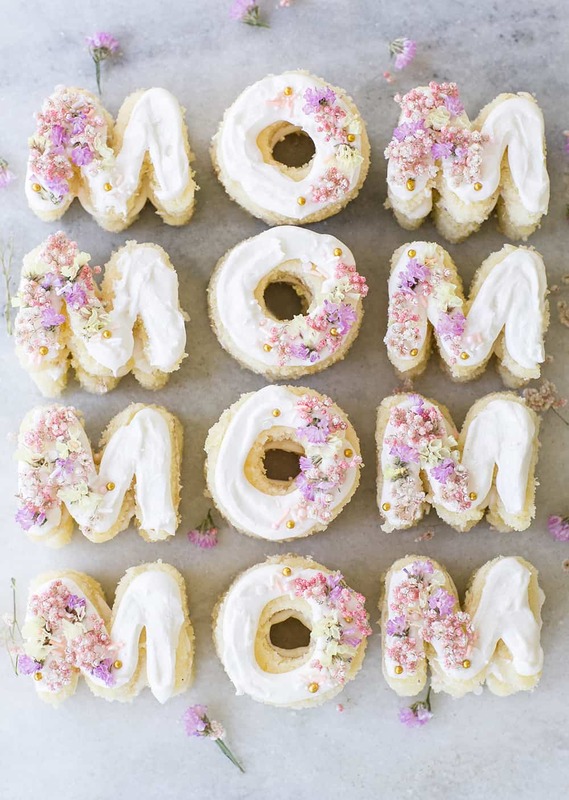 These unique Mini Mom Cakes really weren’t hard to make, just a little time consuming. But they’re so worth it if you’re looking for a charming treat to serve this Mother’s Day! 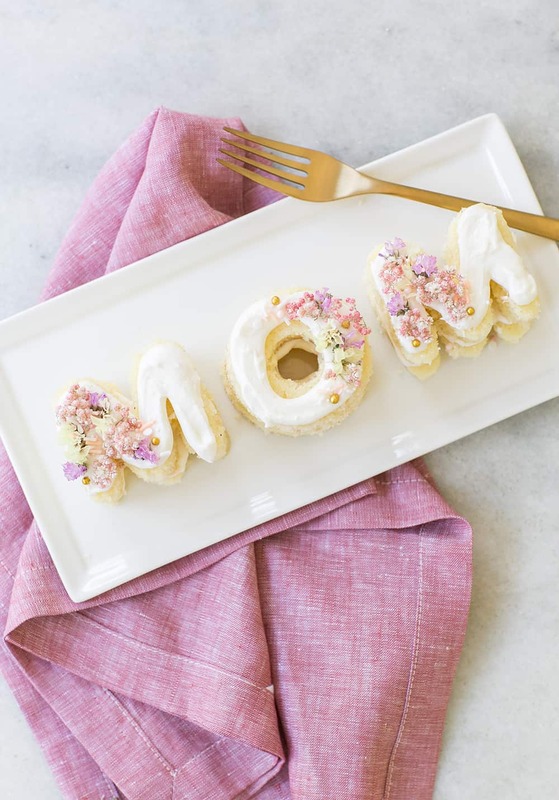 They would make a cute gift too if you want to celebrate your mama friends as well!